Triggered by street battles in OPEC member states and exacerbated by news of radiation leaking from Japanese nuclear reactors, the oil shock threatens to derail the world’s economic recovery. As anguished television viewers around the world wept at the sight of corpses washing up on the shores of northern Japan in mid-March, they could hardly have been prepared for the next scene of this unfolding tragedy. 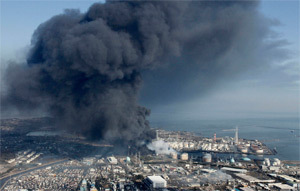 Japan’s most powerful earthquake on record—and the tsunami that followed it—had damaged several nuclear reactors. In addition to subjecting some of the catastrophe’s weary survivors to radiation poisoning, the failure of these reactors in a country that derives about one-quarter of its electric power supply from nuclear power plants was quick to extract a toll from the global economy. In apparent anticipation that Japan would be looking to import more petroleum to replace its nuclear power capacity, US benchmark crude oil rose 3 cents a barrel to $101.19 on March 13. According to Barclay’s Capital, such expectations can only push prices higher. It was a macabre punch line to a cruel joke. A week earlier, the lifeblood of the economies of the Middle East and North Africa (MENA) had already been soaring at prices well above $100 a barrel thanks to supply cuts across the Middle East and North Africa, where political tension between autocrats and pro-democracy protesters is boiling over. The most severe cuts have been caused by forces loyal to Qadhafi bombing rebel-held towns in Libya. Some sources are concerned that those supply interruptions will be dwarfed by cuts in Saudi Arabia’s output if the country’s armed forces crack down any harder on demonstrators there. But the main concern that economists raise concerning MENA is the uncertain outcome of the pitched battles—some political, some military—raging across the region. “The hope is, you will get a democratic regime there, but that is not a guarantee,” says Josh Feinman, chief global economist at Deutsche Bank’s US asset management group in New York. That said, economists and commodities analysts have laid out several potential scenarios, each with varying degrees of probability (see box, page 23). The one they see as most likely assumes that the situation in Saudi Arabia, the world’s largest oil exporter, will calm down, which would keep oil prices at mid-March levels and avoid any deceleration of the global economic recovery. A far less likely—but more dangerous—scenario could unfold “if somebody shakes the trees in Saudi,” says Feinman. This time around, the world is staring a whole new beast straight in the jaws. A litany of factors were at work for months before the first pro-democracy demonstrators marched on Tunis last December. Demand for crude oil and other petroleum products was already rising, driven by the brisk pace of the global economic recovery, particularly in emerging markets. The trading desks of multinational corporations and investment banks added momentum to price increases on the oil futures and options markets, notes Michael Wittner, head of commodities research at Société Générale in New York. But the critical driver is supply cuts, making a clear departure from the traditional cast of beneficiaries and victims. Net exporters, from Norway to Nigeria, could have expected to reap a windfall from high prices while net importers would have suffered alone. The pain is now largely mutual. "It’s still a fairly manageable headwind in an economy [with] a lot of momentum"
Thus far, the global impact has been muted by the strength of the economic recovery from the financial crisis, which has started to show its teeth. If oil prices were to stay slightly above $100 a barrel, the global economy would still grow at a robust 4%, according to forecasts by JPMorgan and Deutsche Bank Advisors. Because oil consumption makes up nearly 5% of global GDP, a 10% increase in oil prices reduces purchasing power by only 0.5%. Another reason the impact has been muted is that many industries improved their energy efficiency during the last oil shock in 2007 and the first half of 2008, and those changes are having the desired effect, explains Wittner. In the US, for example, airlines have invested in more-fuel-efficient planes, and trucking companies have installed speed-limiting devices in their vehicles to keep fuel consumption down. Some of the global effects have yet to play out, of course. Much depends on how hard emerging markets, which are among the most vulnerable economies to oil shocks—particularly China and Korea—get whacked. Their ambitious infrastructure development has propelled them into the ranks of the world’s largest oil importers. “The impact there could be four times that in the US,” says Joseph Carson, director of global economics research at AllianceBernstein in New York. That impact, however, would quickly be passed on to the US, from which 56% of total exports—mainly agricultural products, industrial materials, capital goods and commercial aircraft—go to emerging markets. “That would put a big constraint on our growth because exports have been a bigger contributor to our growth than housing,” says Carson. 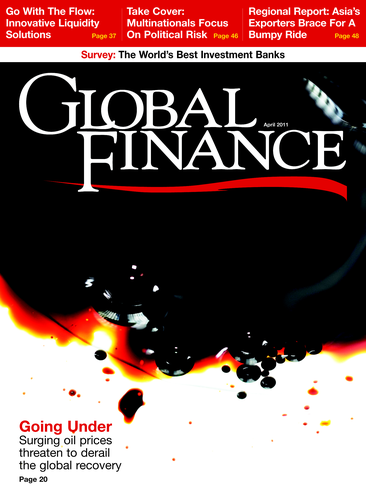 But there are other related factors that could cause a greater drag on the global economy than has been seen thus far. One is a knock-on effect on agricultural commodities, prices for which are being driven up partly by higher prices for fuel that farmers use to operate tractors, harvesters and other equipment, and for fertilizers that contain chemicals derived from petroleum, notes Wittner. Additional reasons for pessimism have nothing to do with the oil shock. The past 20 months of economic recovery have witnessed a cumulative price increase for food crops, textiles, metals and other commodities that would normally occur in six years of recovery, says Carson. “It has gone too far too soon,” he explains. “What makes it damaging is that it’s broad-based, not in a single commodity.” To some extent, higher food prices can be attributed to crop failures and, according to Wittner, strong demand for a high-protein diet among a nascent middle class in emerging markets. The impact of the oil shock will depend in part on the policy response. The European Central Bank has signaled that it will raise rates in April, and Chris Scicluna, deputy head of economics research at Daiwa Capital Markets Europe in London, predicts that several rate increases will follow. The ECB is focused on the risk that headline inflation could lead workers in Germany to demand higher wages while workers in Spain and Belgium will automatically receive wage increases under the terms of their contracts. The US Federal Reserve, which unlike the ECB is focused on core inflation, is far less likely to raise rates because unemployment in the US has already risen higher than it has in Europe. “This suggests that there is more slack in the US labor market and, hence, less risk of higher energy prices’ generating second-round effects on inflation via their impact on wages,” says Scicluna. In many emerging markets, particularly in Asia, governments are moving to cushion the impact with a familiar tactic—subsidies for staple foods. At the same time, though, they are scrambling to reduce subsidies for fossil fuel, the cost of which the International Energy Agency estimated at $312 billion worldwide in 2009. The situation in MENA is especially unpredictable. Experts on the region underestimated the power of the pro-democracy movements that deposed Tunisian president Zine El Abidine Ben Ali of Tunisia in January and Egyptian president Hosni Mubarak in February, and they did not anticipate the civil war in Libya that flared in early March. Until armed forces opened fire on demonstrators in the city of Qatif in eastern Saudi Arabia on March 10, no one had contemplated the risk of a major supply cut in a country that accounts for 12.5% of global daily oil production. “If that takes a turn for the worse, we will certainly be thinking about double dips later this year,” says Daiwa’s Scicluna. If there is a single lesson to be drawn from recent developments in MENA, it’s that the greatest threat to the economy is simply fear itself. “Just because events have shifted so quickly,” says Feinman, “you don’t want to say anything is impossible.” Indeed, Société Générale estimates that such fears already accounted for about $20 of forward-month per-barrel Brent crude prices at the beginning of March. Here are four potential geopolitical scenarios posited by economists and analysts, ranked in order of anticipated probability, not in importance. In a scenario that Société Générale and Deutsche Bank Advisors regard as most likely, Saudi Arabia could remain calm. Brent crude prices would stay between $110 to $125 per barrel, which would not significantly hurt global growth. This scenario takes into account a cut of 1 million barrels per day in exports from Libya, which was exporting only 1.65 million barrels before its civil war broke out, and assumes that Saudi Arabia will continue to increase its output. Even if the civil war comes to an abrupt end, it would still take months for production to return to normal in the wake of looting and damage to oil reservoirs, equipment, pipelines and terminals. Recently imposed sanctions on Libya could complicate attempts to normalize trade. Société Générale believes it is possible, but unlikely, that another oil producer, such as Algeria, could cease production, spreading turmoil across the region and pushing prices into a range of $125 to $150 per barrel. As it attempts to make up the shortfall for two medium-size exporters, including Libya, Saudi Arabia would be left with only 600 million barrels per day of spare capacity. That would severely limit capacity to cover shortfalls in other member states. In that scenario the International Energy Agency (IEA) might then deploy emergency strategic reserves at a rate of about 8 million barrels a day for four months. In the US the resulting price increase would erode demand as rapidly as in 2007 and the first half of 2008. If pro-democracy protests in Saudi Arabia intensify and unrest spreads throughout the world’s largest oil exporter, crude exports could be reduced by one-third and any spare capacity would be threatened. In what Société Générale describes as an unlikely scenario but one that is too significant to ignore, Brent crude would jump to a range of $150 to $200 per barrel. Then the IEA would release either 4 million barrels per day for up to one year, or 2 million barrels a day for two years. Such sky-high prices would reduce demand, particularly in the US, which accounts for 22% of global oil consumption, according to Société Générale. Prices would plummet, and the global economy could fall back into recession, according to Daiwa. 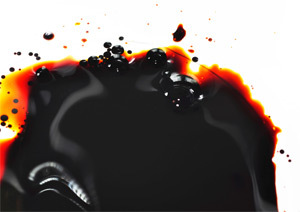 If the political unrest sweeping the region achieves the intended effect of installing democratic governments, the initial result would be a renewed spike in oil prices in the short term followed by a steep drop well below $100 a barrel, according to a scenario posited by AllianceBernstein that looks several years into the future. The reason is that these countries will have to pump more oil to generate the revenue required to meet the demands of their citizens to build more schools, hospitals, housing and other infrastructure. Then a double dip could be avoided, and the pace of global growth that economists had forecast prior to the oil shock could resume unabated.